I was born in Delhi, India and came of age during the 1960s and ’70s, when India was considered a “developing country.” I was fortunate to observe the nation emerge from a struggling economy with endemic rural poverty, a moribund industrial sector and crippling foreign debt to a global leader with a thriving domestic economy, the green revolution changing India’s agriculture sector, a burgeoning middle class, and a world class technology sector complementing a strong industrial base. The first in my family to obtain a business degree, I pursued a career in global financial services, first in India and then in the United States. Over the twenty-year period I saw banking go from clearing houses to e-commerce, cash to ATMs, and punch cards to biometrics. All this has led to a profound respect for people with passion and powerful ideas; strong, productive collaborative teams; and the propelling force of market-driven economies. At age 40, I felt compelled to leave Wall Street and go back to serve the people I had “left behind” — the poor: helping create opportunities for them, enabling them to follow their own ideals of success, as well as to experience the fullness of life that God promises to all. Today, I am privileged to serve Opportunity International, a global nonprofit microfinance network that helps those living in poverty start businesses, earn a living and emerge from poverty. Earlier this year, we celebrated achieving our goal of creating 20 million jobs for the poor — two years earlier than planned! What do you think makes your company stand out during these disruptive times? Can you share a story? Our commitment to disruptive innovation. Since 1971, Opportunity International has sustained innovation-driven growth. We are constantly developing, constantly learning, constantly testing, constantly iterating, constantly thinking of how we can better serve our clients. Several years ago, we started serving clients through ATMs and mobile banking vehicles in rural communities. From there, our team introduced mobile money, making financial inclusion possible through a simple mobile phone as well as tablet computers. Micro insurance was born at a desk in our Chicago offices. Today the microinsurance company we built and sold to a giant private insurer, has over 56 million policies worldwide, and is growing at more than a million policies/month. Its insured customers, for the most part, are people living on less than $10 a day. Talk about scalabale innovation! High-tech banking. 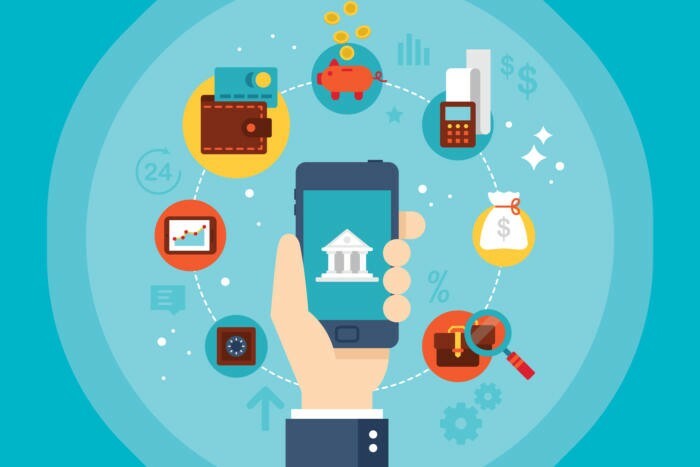 Mobile and technology-based banking will continue to be the avenue to reach new markets and serve more clients. At Opportunity, we utilize agent bankers equipped with tablets and who complete transactions from even the most remote areas. High-touch banking. Organizations must not lose their human touch with clients, nor can we lose the humanity in our services. Training and social cohesion are vital to ensure that digital tools not only exist, but that people know how to and feel comfortable using them. High-impact banking. The financial services industry must recognize that the spread of cellphones and digital connectivity in low and middle-income countries represents an unprecedented opportunity. Banks can also disseminate data and training through mobile tech, leading to not only improved banking services but also great levels of financial literacy and confidence. Gender-based inclusion. Technological developments enable women — often excluded from the formal economy and traditional banking services — to receive the training they need to grow their enterprises. Combined with a commitment to high-touch banking ensures that women receive the training they need to feel confident using both financial services and technology. Employing women as agents and bankers also helps banks reach more women as clients. Expansion in Asia. Because of population and mobile internet trends, Asia will be a key market for banks and fintech in the next three years. By 2025, there will be 680 million new mobile internet users in China and India alone — a remarkable opportunity for growth and achievable scale. Opportunity has already reached 3.7 million clients in India, and we anticipate significant continued growth in this region. The movement already has begun: a shared striving to see an end to extreme poverty in our lifetime. No one should go to bed in a hungry world today! Everyone can earn enough to afford nutritious food, shelter and education for their children. The data tells us that we have made terrific progress. The number of extremely poor has fallen from one out of three people living in poverty in 1990 to now less than 1 in 10 do. Per the World Bank, putting our shoulder to the wheel, we can get to zero by 2030. The last mile is just ahead of us. Let us push forward!